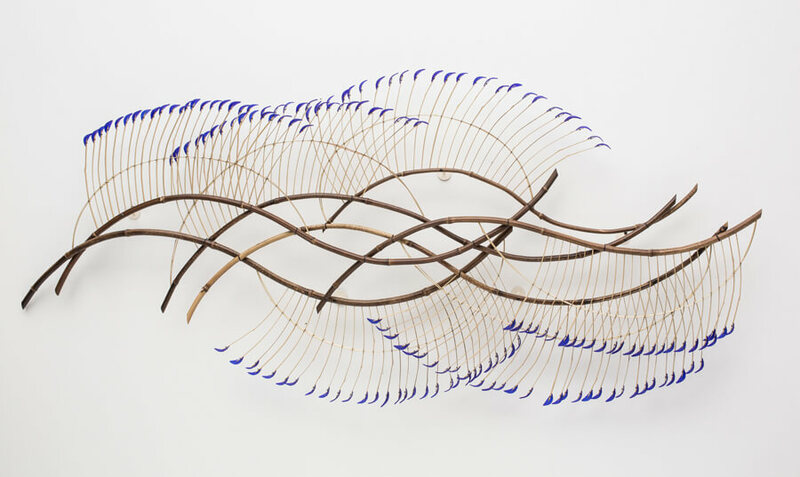 Glass fusing is an exciting art form that is continually expanding its boundaries in both techniques and sculptural forms. Materials such as frit, stringer, sheet glass, confetti and frit balls are used in these basic classes, where students will learn, first through demonstration then doing, about how these glass materials are transformed in a kiln to create delightful objects. A small talk about how glass is fired in a kiln will be given, but the instructor will fire your work for you. Work can be picked up the following week at the end of the next class, or other arrangements can be made. Cookies and juice provided! Adults over 18 only or a well behaved child ten or over with an adult. 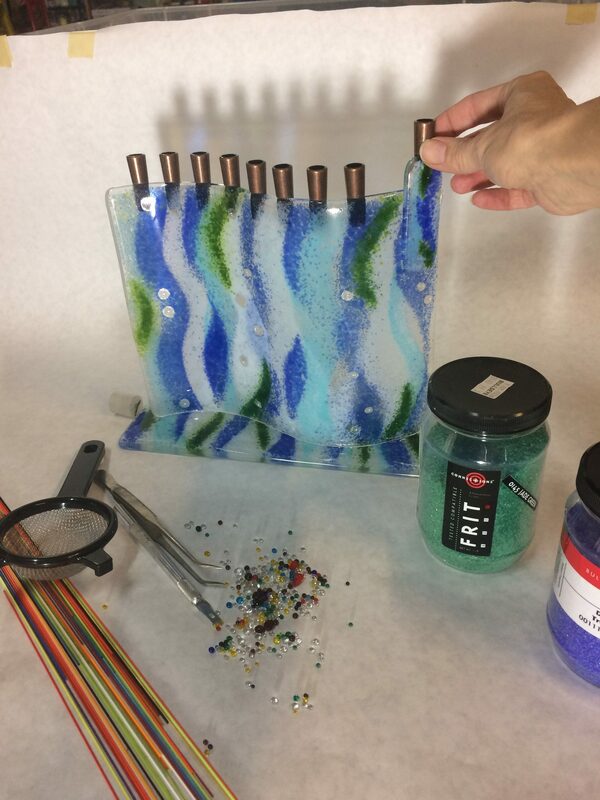 In this class we will look at tile samples of techniques then create our own fused and slumped glass menorah.